This is an online novel for teens about a high school girl who hears ghosts. 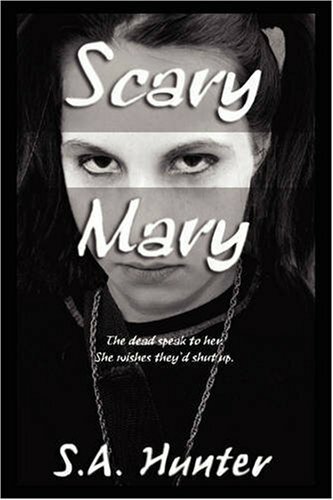 Mary begins her junior year of high school without high expectations. As the resident school freak, she'd just like to be left alone, but Cy Asher, a new student, tries to befriend her. The budding friendship, though, dies when Mary discovers Cy's house is haunted and not by Casper, The Friendly Ghost. The most popular pirate story ever written, Treasure Island has been happily devoured by several generations of boys and girls. Jim Hawkins finds himself owner of a map to Treasure Island, where the fabled pirate booty is buried. Tom Sawyer is in a series of adventures along the banks of the Mississippi, and he usually manages to come out on top. The novel raises some questions about identity, and about attitudes to class and race. This book engages readers of all ages. The book contains short tales, it is regarded as the first book of juvenile literature. The author endows human qualities to animals, he ends each story on deep and profound moral. It is the most memorable collection of fables in world literature. Three children whirl back in time through an enchanted potter's wheel into the 1940s Britain. The Wheel pulls Connie, her brother, and Malcolm into dangers on the homefront. The children hit trouble when Malcolm fails to return to the present day.